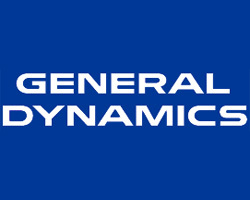 DividendMax»Company Coverage»Country:United States»Exchange:New York Stock Exchange»Sector:Aerospace & Defence»Company:General Dynamics Corp.
General Dynamics is a leading supplier of sophisticated defence systems to the United States and its allies. It operates in four primary business groups: Aerospace, Combat Systems, Information Systems and Technology, and Marine Systems. The Virginia-based company occupies leading market positions in mission-critical information systems and technologies, land and amphibious combat systems, shipbuilding and marine systems and business aviation.